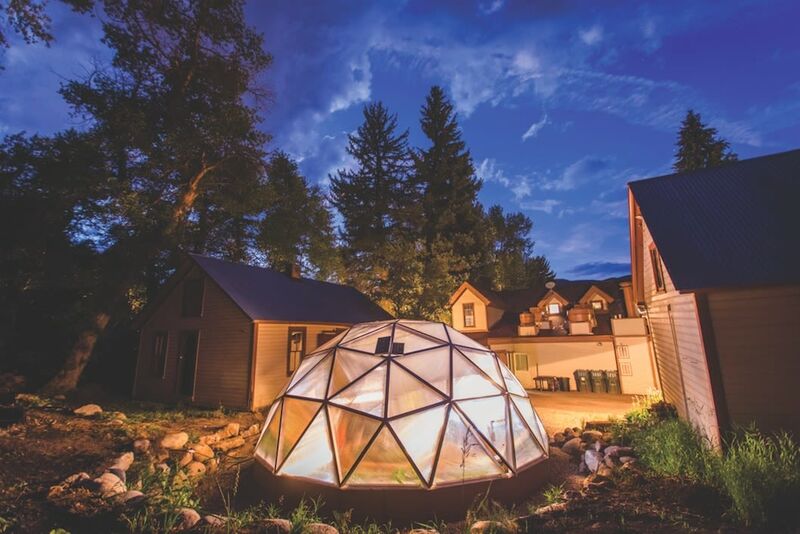 Chef Daniel Joly takes locally grown to the next level with a dome-shaped greenhouse at Mirabelle. If you’ve ever been to Florida’s signature theme park, the geodesic hydroponic garden behind Beaver Creek’s Mirabelle Restaurant might look familiar. After all, it was inspired by Spaceship Earth, the giant “geosphere” at the center of Walt Disney World’s Epcot Center. 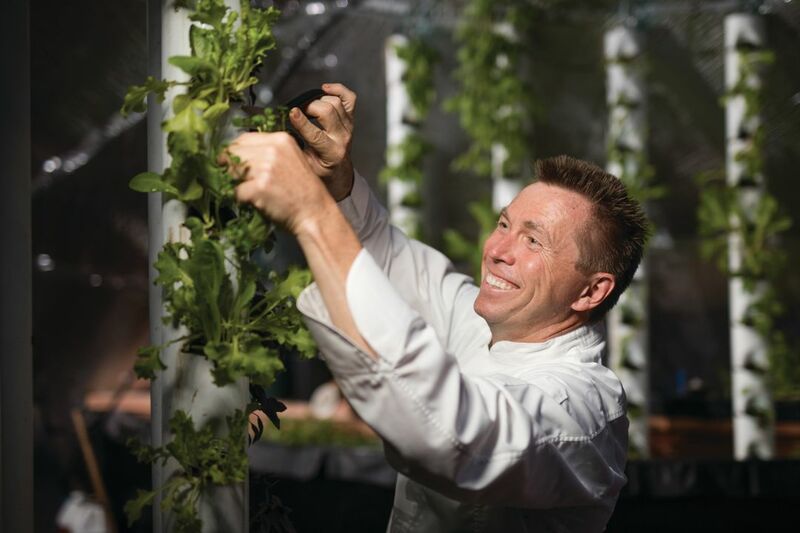 As a celebrity chef cooking at the Epcot International Food & Wine Festival last fall, Daniel Joly was given a VIP tour of the four indoor hydroponic gardens in Epcot’s Land Pavilion, which provide produce served at the exhibit’s signature farm-to-table restaurant. And he got to thinking. Over the summer, just outside Mirabelle’s kitchen, Pagosa Springs-based Growing Spaces installed an off-the-grid geodesic greenhouse, complete with a 1,200-gallon solar-heated water tank that not only nourishes a dirt-free hanging garden but also regulates temperature. In the dead of winter, it’s an Eden of exotic crops—strawberry and chocolate mint, purple basil, asparagus beans, wasabi arugula, lemon cucumbers, white cherry tomatoes—a source of bounty, and for Joly, culinary inspiration.